Bagatelle for two violas. Composer. (2013) Moderate. 2 min. Listen. Declarations for contrabass quartet. Wiltshire Music Company. (2005) Advanced. 8 min. Listen. The Devil's Songbook for medium voice, cello (or contrabass), and piano. Howard J. Buss Publications. (1993) Moderate. 25 min. Duo Concertante for contrabass and piano. American Composers Edition. (1995) Advanced. 11 min. Listen. Eulogy, Aria, and Incantation for Contrabass and Piano. American Composers Edition. (2004) Moderate. 11 min. Fantasy for Solo Violin. American Composers Edition. (1993) Advanced. 10 min. Listen. Fantasy for Violoncello Orchestra (8 parts). American Composers Edition. (1993) Moderate. 9 min. The Guitarist's Day for solo classical guitar. Howard J. Buss Publications. (1996) Advanced. 16 min. Incantation for solo violoncello. CP Press Publications. (1999) Advanced. 10min. Listen. Love Letters for high voice, violin, and piano. Howard J. Buss Publications. (2006) Moderate to Advanced. 40 min. 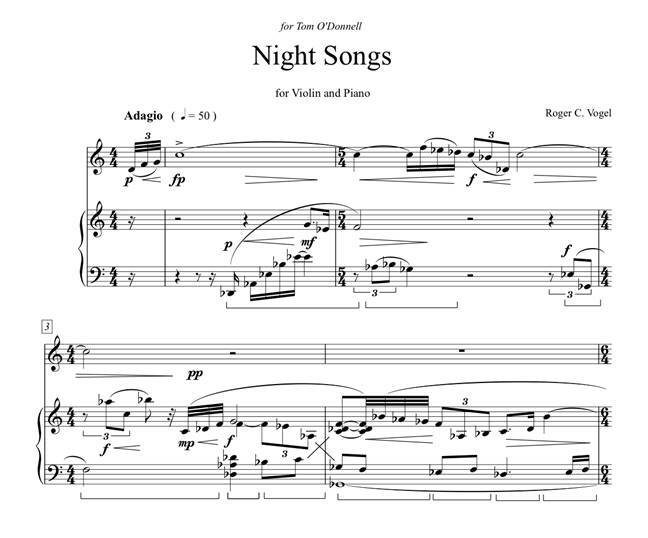 Night Songs for violin and piano. Wiltshire Music Company. (2005) Advanced. 9 min. Listen. Odyssey for viola and piano. American Composers Edition. (2011) Advanced 16 min. Sonata for Viola and Piano. American Composers Edition. (1986) Advanced. 14 min. Listen. Tête-à-tête for violin and viola duo. Howard J. Buss Publications. (2014) Moderate to Advanced. 18 min. 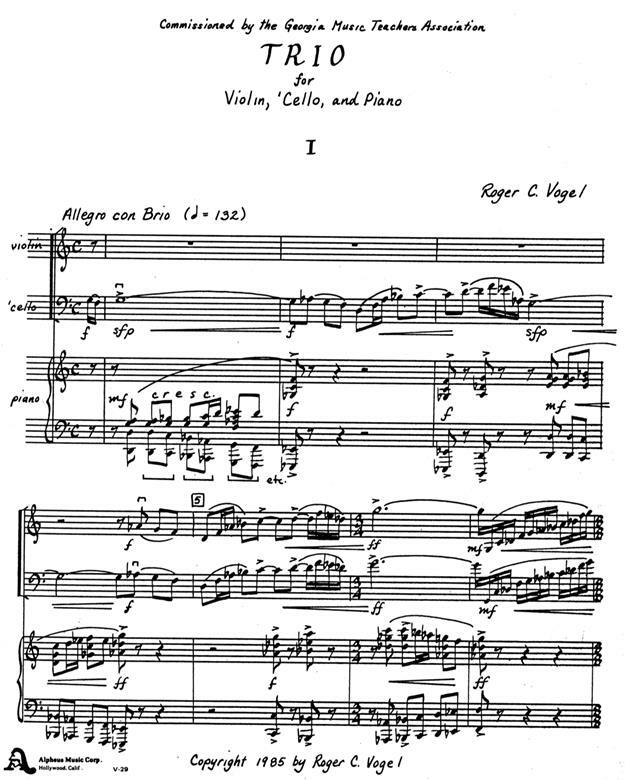 Trio for Violin, Cello, and Piano. American Composers Edition. (1986) Advanced. 15 min. Twilight Reflections for flute and guitar. Howard J. Buss Publications. (2001). Moderate. (8 min.). Listen.